Have you experienced deleting a YouTube video by accident, without keeping an extra copy of the lost video on hand? This is a common scenario among YouTube channel owners where they intentionally or unintentionally remove a video from their channel and then realizing they don't have a backup copy. How do you deal with this situation? Good news! 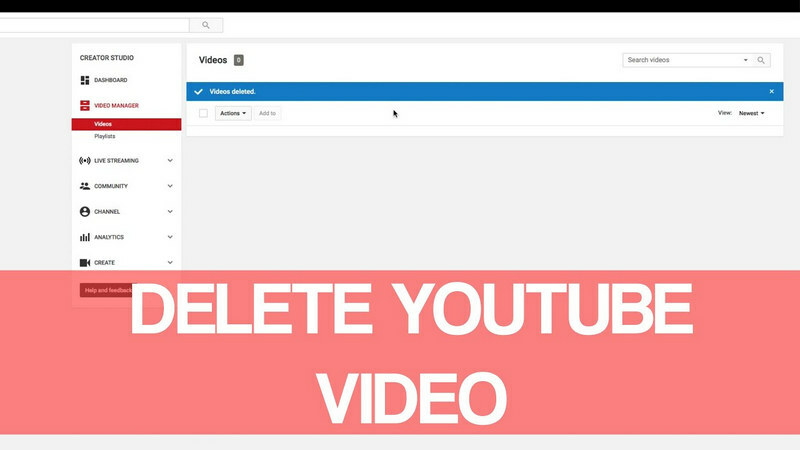 There are actually a couple of ways on how to restore deleted YouTube videos. One of the most effective ways to recover a deleted YouTube video is restoring the original file from your computer using a tool called AnyRecover. This is assuming that you saved the original video file in your computer or drive some time in the past, and deleted it. 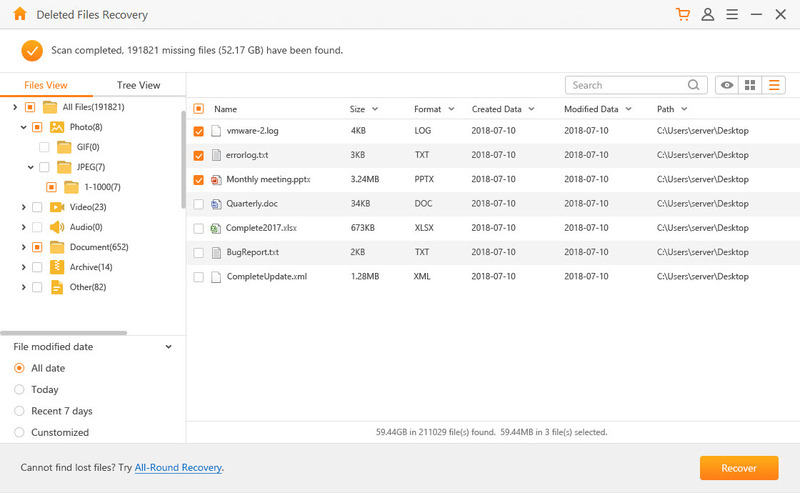 AnyRecover is a reliable Windows and Mac data recovery tool that successfully restores lost, deleted, or even corrupted files from your PC's hard drive or any storage device. It performs partition recovery, pauses scanning, sort files by name, extension, size or date, runs a full and quick scan for better results, and stores the results of any scan. It can recover literally any file type, including documents, images, videos, audio files, and emails. It's easy to use and does not require any technical knowledge. 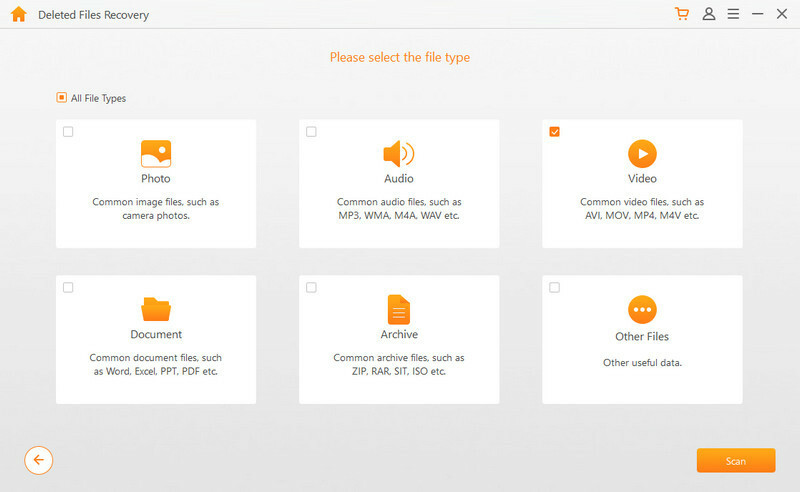 Supports to recover video files in various formats, such as AVI, MOV, MP4, M4V, WMV, 3GP, 3G2, MKV, ASF, FLV, SWF, MPG, RM/RMVB, MPEG, etc. Easily get back all deleted YouTube videos,as well as email, photo, audio and other files from by yourself, no tech skills required. If you are interested in Anyrecover and decide to give it a try. Follow the steps below to find your deleted YouTube video files and get them back easily. Step 1. Download and install AnyRecover tool on your computer. If you will be restoring files from an external device, make sure that this device is connected to your computer. Click to chose "Deleted Files Recovery" mode. Step 2. Select the possible location where your deleted videos were stored. Click "Next" to proceed the recovery process. Step 3. You'll come to the interface that requires you to select the Select the file types you want AnyRecover to get back. Check the box on the upper left of "Video". Step 4. Anyrecover will start scanning the deleted video files. After the scanning completed, the software allows you to preview the preferred files before recovering them. Step 5. From the scanning results, select the video files that you need to get back and click the "Recover" button. Anyrecover will recover the video files you selected in the previous step. 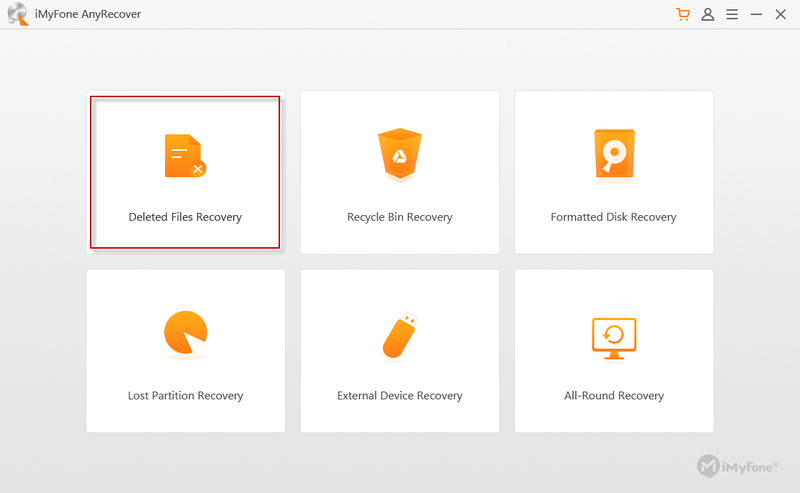 For more details about restoring deleted video files with Anyrecover, please visit Anyrecover user guide on deleted files recovery. Please do not save the restored files to the partition where you deleted or lost the data before. Another way to restore deleted YouTube videos is use your back up videos files from your computer. This is very handy if you have a habit of keeping your original files in your computer or external hard drive or the cloud. If you're not doing this, make sure that you start practicing creating backups in your computer in case of emergencies. This approach will not work, if you erase your backup video files as soon as you've uploaded them on YouTube. If what you keep are raw files, you will have to edit them again and recreate the video before being able to restore the same video file you uploaded on YouTube. Step 1. Login to your email account which you used in registering to YouTube. Load the email that contains the information about the uploaded video that you deleted. Step 2. Copy the link of the deleted YouTube video. Step 3. Go to https://archive.org/ and enter the link of the deleted video in the WayBackMachine search window. Click Search. Step 4. The system will display your YouTube video upload history. From the list, find and restore your deleted video. While it may look easy, you have to note that this approach will only work if you have the link of your deleted YouTube video. There may be times that the online tool may not be able to locate your lost video. If this method doesn't work, simply try other options to restore deleted YouTube videos mentioned in this article. If all else fails, you can always contact YouTube Help Support for some assistance. Email them to ask if they can restore a YouTube video that you have deleted by accident. Step 1. Login to your YouTube channel, and click Help on the bottom of your page. Step 2. Click Need more help > Get creator support. Step 3. From the choices available, select the related issue and click Email Support. In some cases, you may need to click on the link that says "Contact the Creator Support Team", too. Step 4. 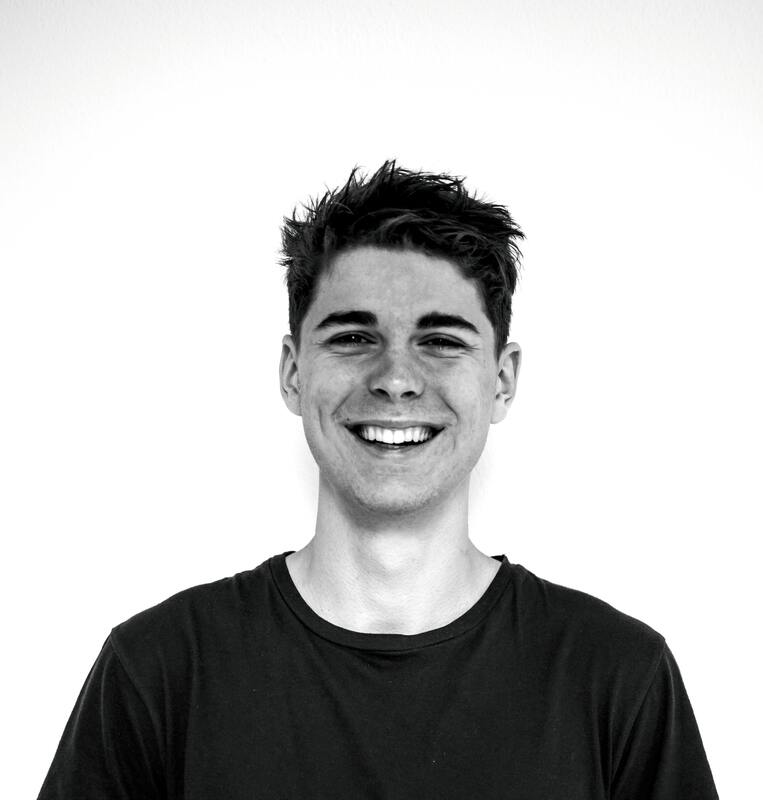 For more information on how to contact the YouTube team, go to https://www.youtube.com/t/contact_us. You can take advantage of this approach only if your YouTube channel has more than 10,000 views or you are part of the YouTube Partner Program. Otherwise, you may not receive a proper or timely response from them. If you are going to delete a video from your YouTube Channel, please take the following points seriously before the deletion. 1. There is no feature on YouTube to recover a deleted video. Deletion of a video on YouTube is a permanent action and can NOT be undone by YouTube itself. Unless, you have a backup on your computer, that you can reload the video(s) on your channel. 2. It's the sole responsibility of the user to keep backups on their computer, in the event that one accidently deletes their video. 3. YouTube does not store or archive personal videos. Comments and likes are erased when the video is deleted. So re-uploading the video will not have those comments and likes. Dicussed above are the 4 primary ways you can undertake if ever you accidentally deleted a YouTube video by mistake and want to recover it. For a fast and convenient method, use AnyRecover tool to successfully restore deleted YouTube videos. Download the free trial at https://www.anyrecover.com. Camera Photo Recovery Could be So Easy!